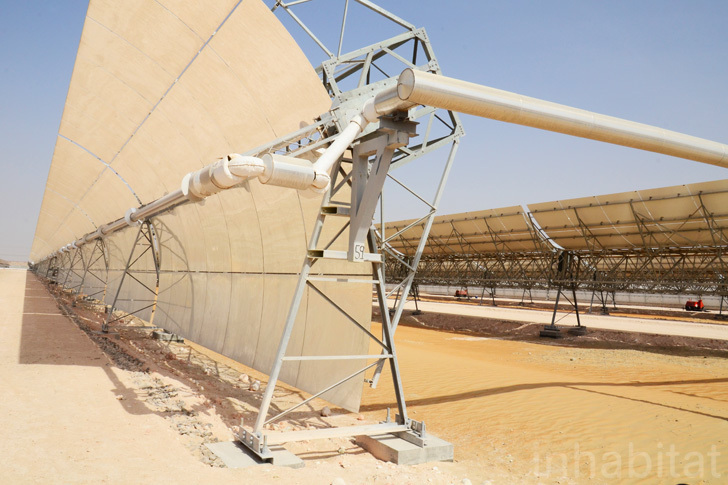 It might seem ironic that the oil-rich Middle East also holds nearly half of the world’s renewable energy potential – but yesterday the President of the United Arab Emirates, Sheikh Khalifa bin Zayed Al Nahyan, officially inaugurated Shams 1, the largest concentrated solar power plant (CSP) in the world. The plant was designed and developed by Shams Power Company, and it cost $600 million and took three years to build. It’s owned by Masdar, Abengoa Solar and Total. 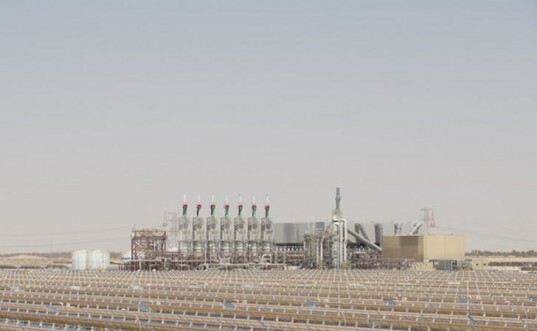 Though Abu Dhabi has made a considerable investment in CSP, key members of Shams Power Company foresee most of the country’s renewable energy coming from solar photovoltaic systems to meet its 2020 energy target of producing 7% of its total energy from renewables. This is because photovoltaic systems are cheaper, faster to build and are able to be installed in more locations than CSP systems. It might seem ironic that the oil-rich Middle East also holds nearly half of the world’s renewable energy potential - but yesterday the President of the United Arab Emirates, Sheikh Khalifa bin Zayed Al Nahyan, officially inaugurated Shams 1, the largest concentrated solar power plant (CSP) in the world. The plant was designed and developed by Shams Power Company, and it cost $600 million and took three years to build. It's owned by Masdar, Abengoa Solar and Total.